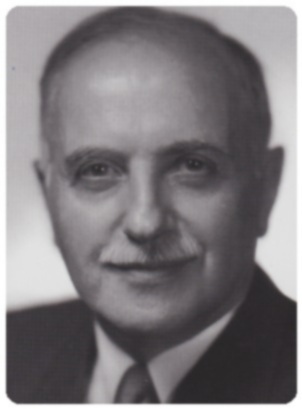 Dr Abraham Low was a psychiatrist who founded Recovery in 1937. He was born in Poland in 1891. He qualified as a medical doctor in France and then later immigrated to the United States. By 1925 he was working at the University of Illinois Medical School and later became an associate professor of psychiatry there. In 1931 Dr Low was appointed Assistant Director and in 1940 became Acting Director of the University's Neuropsychiatric Institute. Through his work with patients, Dr Low became convinced of the need for a practical way to help his patients after he became disillusioned with Freudian analysis (which was popular at the time). He developed a simple, straightforward method of cognitive behavioural training, to help improve the mental health of his patients and to keep them stable. In 1937, he founded the organisation Recovery so that patients themselves could maintain this legacy. This way, through peer support groups, members trained by Dr Low, were able to teach others this powerful method of self help. Now 78 years later, his legacy lives on in the US, Canada, Mexico, Ireland, UK and Israel. Dr Low had two daughters, Phyllis and Marilyn, both of whom are still to this day active in helping Recovery achieve its goals.